Dad just got back from his trip to London for a DevOps conference (DevOps is IT related stuff, for you non tech geeks out there). I was a just a little jealous, especially since he got to go to Westminster Cathedral for Mass and see Buckingham Palace and just be in London, which is really the greatest city in the world. He also brought me back the papers, which delight me to no end. I love getting papers from other countries. The first thing I noticed is how big they are? No American paper is this big anymore. It's amazing! Yes, my "desk"--my kitchen table--is a mess. I've got SO many things going on right now. I've started writing a new book (YES! Wheee! Let's hope someone wants it!) about churches and accessibility. I've been getting new library books like every day since the library actually has books I want to read, and they can be delivered to my local library so I don't have to drive all over creation to get them (our library system is huge). I've been working more on my sketching, and I've been packing because we're going to Pittsburgh later today. So yes, it's nuts, and my table is crazy. 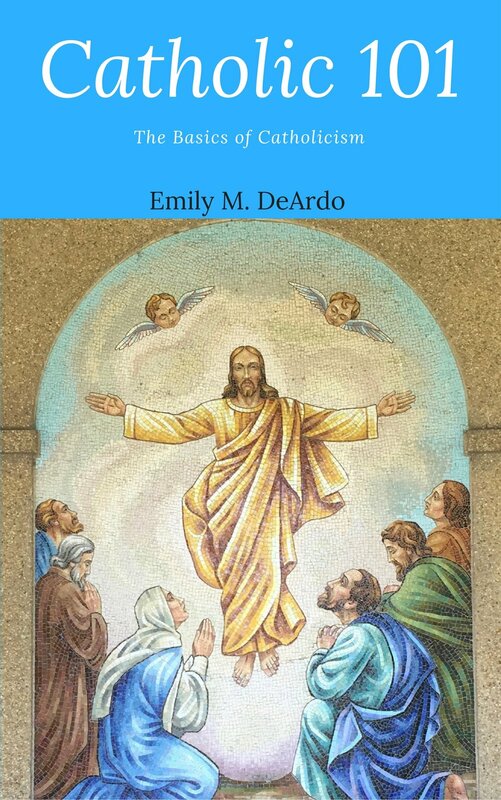 Also, Catholic 101 is currently on sale for FIVE BUCKS! If you don't have it, you can grab it here. This is the cheapest it will be all year! I've been knitting, too, even though the hand thing took a bite out of that, but I finally got some more yarn for my scarf project so I'm back at that. I promise a Yarn Along next week! And I also promise to do a reading round-up soon. I've been reading so many books that I need to talk about them. Soon, I promise!